Our 6 or 7 Day Grand Canyon Expedition covers the first 188 miles of the Grand Canyon. Your trip begins at Lee's Ferry (Mile 0) and concludes at Whitmore Wash (Mile 188). 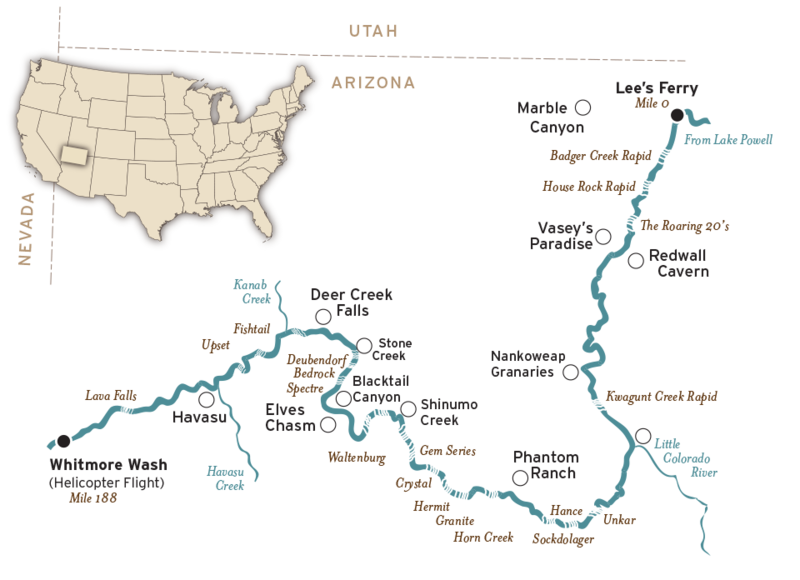 Over the course of these 188 miles, you'll discover some of the most incredible sites within the Grand Canyon, many of which are accessible only by river.